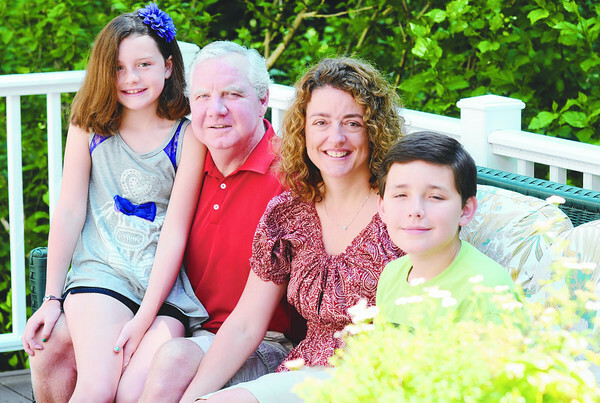 West Newbury: Craig and Robin Gould with theeir children Emily , 9, and Andrew , 11, at their West Newbury home. Craig underwent surgery last April. Since then, he and his wife Robin have been advocates for organ donation and have launched a campaign to promote the benefits of signing up to be an organ donor.